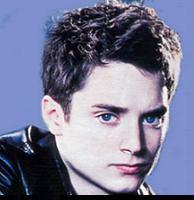 Biography: Elijah Wood's career began at a very young age, acting in commercials first at the age of seven. He is a very talented young actor, who has starred in many movies, taking on different roles to continue his success through his youth. Most child actors seem to disappear after a while, but Elijah has kept his popularity and success, by changing his roles to match the times. A few of the movies that helped to lift his career were The War, The Good Son, and Flipper. He was even given credit for the movie North, said to be the one bright spot in that terrible film.